JBL today announced their best wireless noise-canceling headphone for 2017 in three on-trend metallic shades. The new $300 JBL Everest Elite 750NC over-ear headphones offer the latest Adaptive Noise-Cancelling (ANC) technology, improving upon their predecessor the Everest Elite 700.Adaptive Noise-Cancelling lets users customize and control their noise-cancelling to the amount of environmental noise they want to let in or block out. ANC drowns out sounds from airplane takeoffs and screeching trains to noisy co-workers. 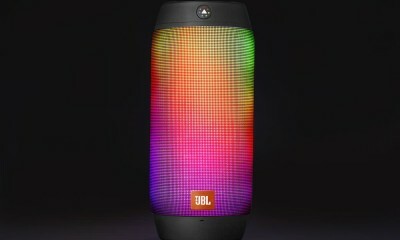 Furthering the personalization, this model also includes JBL’s TruNote Auto Sound Calibration technology, which adjusts sound based on the user’s ear anatomy to deliver the best possible listening experience. A specially-curved headband lessens pressure around the ears, while the ear cushions are expertly crafted with lightweight, memory-foam materials to maintain an effortless fit. For added convenience, the control buttons (volume, on/off, Bluetooth connectivity) are all located on one side of the headphone. Battery life should be sufficient for almost any long flight. JBL claims 15 hours with ANC-on and 20 hours with ANC-off. Additionally, a quick recharge feature enables users to juice up the battery to maximum capacity in 3 hours. Their flat-fold design also makes them easy to pack for traveling. 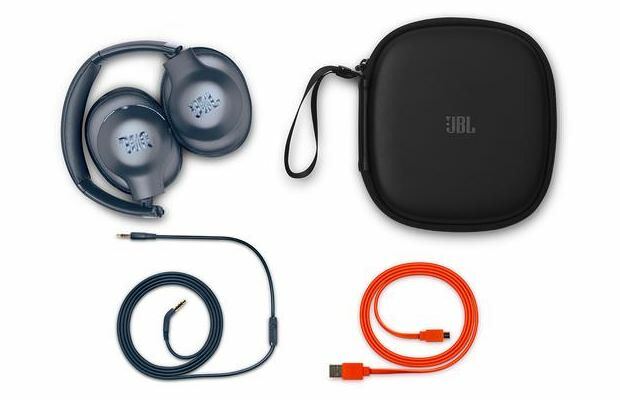 The My JBL Headphones App enables simplified customization options and over-the-air (OTA) software updates to keep them future proof. In addition, the Everest Elite 750NC works with Harman’s Everest Elite SDK (software development kit). Developers can unlock smart experiences, gaining access to the nine-axis motion sensor and programmable buttons, by downloading the SDK at www.developer.harman.com. HARMAN is the first brand to connect multiple services and open APIs to headphones—that enable new use cases to change how listening experiences can be customized beyond music. Wireless Freedom: Connect to any smart device using Bluetooth without the hassle of wires. Adaptive Noise-Cancelling Technology: Adaptive Noise-Cancelling allows for quiet listening or gives users the power to dynamically adjust how much ambient sound is heard, with a simple press of a button. Echo Cancelling Microphone: Built in microphone with echo cancellation technology for crystal clear, hands-free calls. Comfort Fit: Headphones are ergonomically designed to fit the unique contour of listeners’ ears. As a result, listeners experience unprecedented comfort—allowing a longer, more enjoyable experience. TruNote Auto Sound Calibration: Personalizes the audio performance to how the ear cups fit around the users’ ear, delivering the most authentic version of music possible. Fold & Carry: Premium designed slim and durable carrying case included to help withstand everyday wear and tear. Smart-Upgradable and Intelligent: Personalize how you listen with the free My JBL Headphones App including easy OTA software updates and dynamic user control with custom EQ settings. JBL Everest Elite 750NC Headphones are available now (June 2017) for $299.95 in Gunmetal, Mountain Silver, or Steel Blue.